Not far from the beaches of Antibes and Juan les Pins, the charming 4-star Mercure Antibes Sophia Antipolis hotel boasts a modern design, an ideal location in Sophia Antipolis park, extensive landscaped gardens, an outdoor swimming pool and a restaurant offering contemporary cuisine. Just 20 minutes from Nice, its airport and Cannes, find the peace and quiet you deserve. 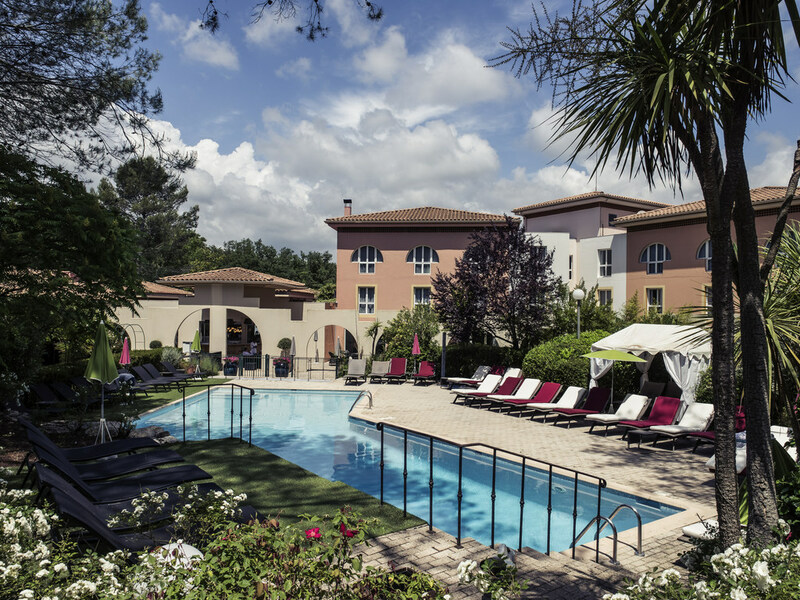 Pleasant and practical, this Mercure hotel brings the Cote d'Azur sun right into the Sophia Antipolis park. Benefit from direct access to the A8 motorway to quickly dive into the water in Nice, Cannes or Antibes. Room for 4 people: 4 single bunk beds, 2 bathrooms and toilet. Room for 6 people: 1 large bed and 4 bunk beds, 3 bathrooms and 2 toilets. Room for 8 people: 2 large beds and 4 bunk beds, 4 bathrooms and 3 toilets. Our new HillSide Restaurant will welcome you in a cosy and refined atmosphere. Our Chef Thibaut Regent offers modern and regional cuisine based on fresh and seasonal products.